Come fly with me! Fly over the hoodoos of Bryce Canyon. Several years ago when leaving a winter afternoon of hoodoo adventure in Bryce Canyon, noticed an old log air hangar way back in the field. 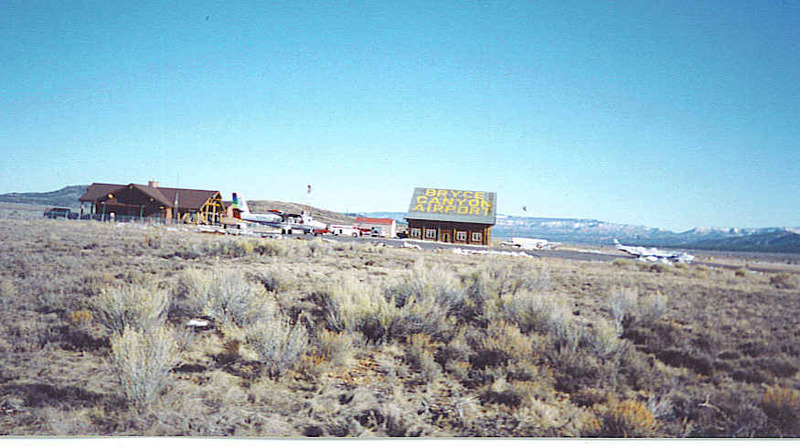 On the roof, painted in large yellow letters, were the words Bryce Canyon Airport. There was a sign that said, “Airplane Rides $25.” Well, that sounded too good to be true, but was in the mood for some high flying adventure so decided to check things out. Walking amongst the hoodoos was thrilling, but wanted to experience the thrill of soaring overhead these strange looking rock pillars. As it turned out, they were closed for the day, but was assured that in the morning, there would be a good chance for a flight as long as weather permitted. So for once, it was up early so as not to miss this chance to glimpse an angel’s view of the hoodoos. For thirty minutes the pilot glided the two seater, single engine prop at 1,000 feet above the beautiful snow capped Bryce Canyon. Still smile just thinking of this ride of a lifetime over some of the nation’s most spectacular scenery. The pilot pointed out highlights of the canyon and told tales of the hoodoos as well. 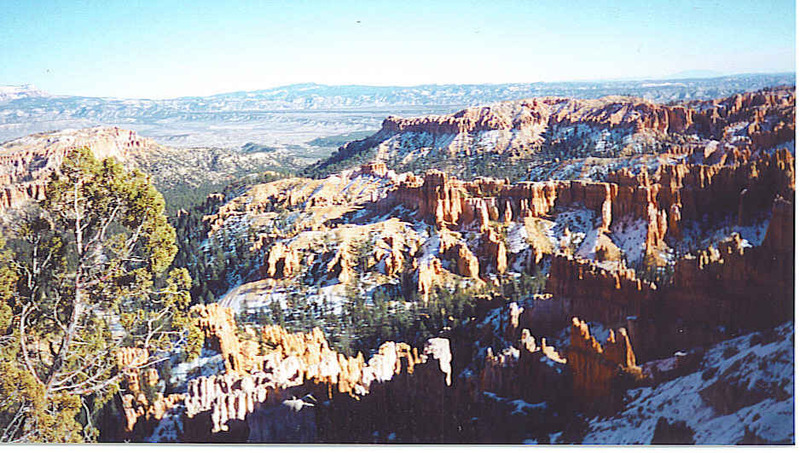 Nowhere in the world are there more hoodoos than here in Bryce Canyon. These strange formations are said to be over 60 million years old and once covered by the seas. Freezing and thawing are responsible for their criss-cross designs and slow erosion. While it is interesting to learn the geological formation of these strange creatures, it is also fascinating to hear the Indian legend of their formation. As we soar over the landscape, it is so breathtaking that for a short while forgot to take some pictures to remember this flight later in life. Soon the camera was snapping and angled to catch the bottom of the wing so you could actually see the photos were taken in flight. The time passed so quickly and soon we were back on the ground. The pilot’s wife presented me with a souvenir coffee mug that had a picture of Bryce Canyon wrapped around it. Ah! Morning Memories! This day had to be a preview of what life will be like in Heaven soaring with the angels. Adventures like these are definitely ones you will remember for the rest of your life. You can do it! That was such fun for me being the only passenger and swooping over the hoo doos for quite some time. Always thought it would be fun to fly just by myself. Maybe I need to get a jet pack?